The UN-brokered ceasefire aimed at curtailing the conflict has already been marred with reports of bloodshed. Despite the fragile truce, Kofi Annan says the Syrian government is yet to withdrawal its troops and heavy weapons from major urban areas. Syrian state media have reported a roadside bomb, which killed one army officer and wounded at least 24 other cadets and officers in Syria’s largest city Aleppo. Syrian authorities accused “terrorists” of being behind the attack. "At eight in the morning a terrorist group targeted a bus carrying a number of officers driving to work in Aleppo," Reuters cites Syrian state media as saying. A member of President Bashar al-Assad's Baath party was also reportedly killed in a drive-by shooting in the city of Deraa following the ceasefire, the Syrian news agency SANA reported. Local coordinating committees in turn have claimed Syrian forced opened fire on protesters outside the parliament building in Damascus, Al Arabiya reports. They say 37 people have been killed in army gunfire across the country since the ceasefire was implemented. Despite the isolated reports of violence, UN-Arab League envoy Kofi Annan said the ceasefire “appears to be holding.” However, he told the UN Security Council that Syria is not fully complying with his truce terms, the US envoy to the United Nations has confirmed. Diplomats at the closed door meeting said Annan had implored the Security Council to demand that Syrian President Bashar Assad withdrawal his troops and heavy artillery from cities and towns. UN Secretary General Ban Ki-moon also told a news conference in Geneva "as of this moment, the situation looks calmer." Ban said the onus remains on the Syrian government to observe the ceasefire, which he described as "fragile." The UN chief said he had begun work with the Security Council to send an observer team as soon as possible, saying the international community must remain unified to keep Syria from descending into chaos. Russia’s UN envoy Vitaly Churkin said the Security Council could adopt a resolution that would allow the deployment of an advance monitor group to Syria as early as Friday. He said Russia would participate in the monitoring mission, Interfax reports. Meanwhile, Syria’s interior ministry called on those rebel fighters “'who do not have blood on their hands” to surrender. The call for gunmen to turn themselves in followed an official interior ministry statement on state television asking all Syrians who had been forced to flee their homes because of the conflict to return. The head of the opposition group the Syrian National Council, Burhan Ghalioun appealed to Syrians to “demonstrate and express themselves,” insisting the right to protest is “the principle point” of Kofi Annan’s peace plan. He urged the international community to provide Syrians with protection by sending observers to monitor the situation. However, it will take time for the UN to respond to the request. The Syrian Defense Ministry announced the ceasefire on state television on Wednesday, but neglected to mention the withdrawal of regime troops from urban areas stipulated in envoy Kofi Annan's six-point peace plan. 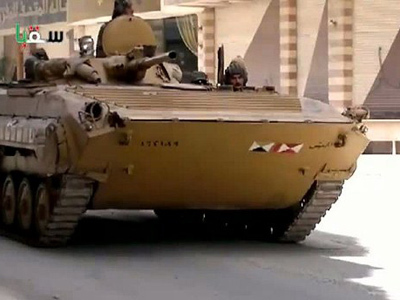 Syria’s government stated that it had begun the gradual pullout of its forces from “certain provinces” on Tuesday. Opposition activists however say they have seen no sign of tanks or security forces withdrawing from urban centers. 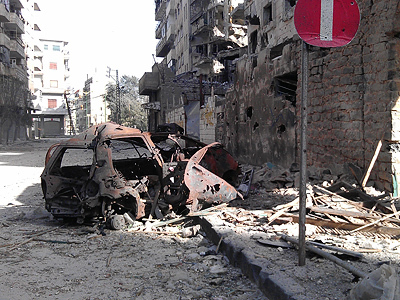 The international community has doubted the Assad regime’s commitment to maintaining the ceasefire. "The burden remains squarely on the Syrian regime and not the opposition in the first instance to meet its obligations in full and visibly under the Annan plan," Rice told reporters on Thursday. US Secretary of State Hillary Clinton is due to meet with Sergey Lavrov this Thursday at a G8 foreign ministers’ summit in Washington, where the Syrian conflict is expected to take center stage. 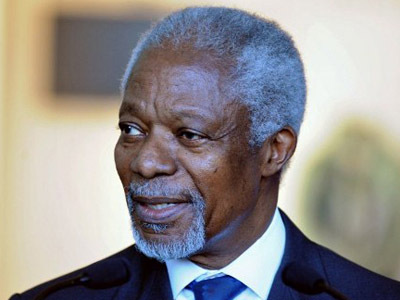 Kofi Annan will also brief the UN Security Council on his assessment of the situation. Adel Samara, a Ramallah-based political analyst described the ceasefire as a waiting game in which both sides are poised to see who will fire first. “We have to wait 24 hours to judge whether it is a real ceasefire,” he told RT. 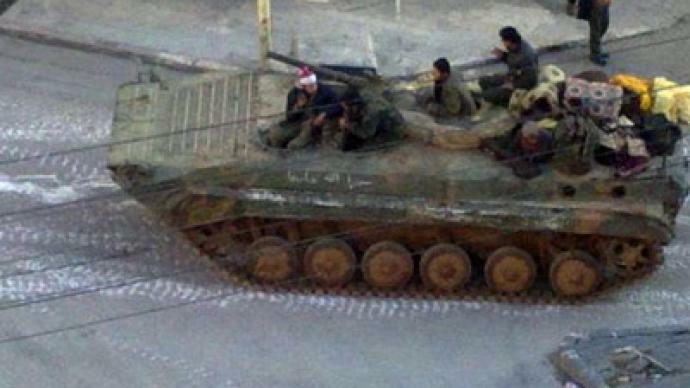 The UN estimates 9,000 people have been killed since the anti-Assad uprising began in March of last year.